On April 9, 2015 at 6:30 PM, the Kingsport Police Department Patrol Division’s First Platoon reported for roll call just like any other night, only on that particular night, one officer was missing. Officer Jamal Phelps had failed to report to work. Finding this extremely out of character for Jamal, his supervisors and fellow officers tried several times to call him with no response. They soon went to his apartment where they found him on the floor, completely incapacitated by a massive stroke caused by a blood clot in his brain. Jamal was rushed to Holston Valley Medical Center and then transferred later that evening to the University of Tennessee Medical Center in Knoxville. Jamal’s stroke has left the entire left side of his body paralyzed. He has already undergone three major medical procedures since arriving at U.T. Medical Center. He is originally from Chicago, Illinois and will soon be transferred to another facility in that area, close to his family, where he will likely require ongoing treatment and extensive rehabilitation for years to come. Life as he knows it will be forever changed, and his current and future medical expenses will be unfathomable. Several individuals have contacted the department asking how they can go about making a monetary donation to help offset some of Jamal’s medical expenses. Two avenues have now been established for anyone wishing to make donations. 1) Donations may be made in person to the “Jamal Phelps Fund” at the First Kingsport Credit Union, located at 408 Clay Street in Kingsport. 2) Donations may be made electronically to the “Jamal Phelps Assistance Fund” by visiting the following link: http://www.GoFundMe.com/JamalPhelps. A t-shirt has been designed to honor Officer Phelps, and those will be available for purchase by the public. The shirts will sell for $20 with all proceeds going to his benefit fund. Anyone who wishes to purchase a shirt needs to bring $20 in cash to the Records window at the Kingsport Justice Center. An order will be placed each Friday as long as there is demand, and the shirts will be available for pick-up on the following Monday. Jamal is only 34 years old. He was sworn in as a Kingsport Police Officer on March 24, 2014 and reported to the Walters State Regional Law Enforcement Academy in Greeneville, TN shortly thereafter. 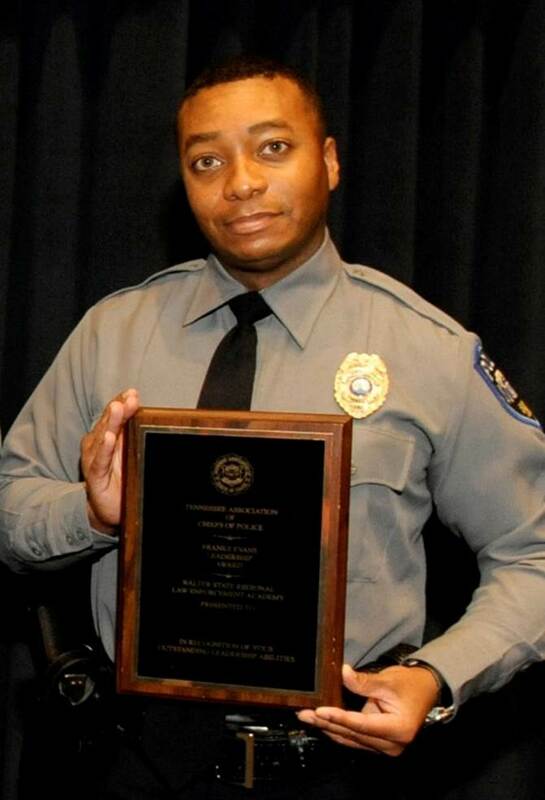 The photograph of Jamal included in this release was taken at his graduation where he was presented with the “Outstanding Achievement Award” recognizing his performance as the most outstanding officer in the class. He returned to Kingsport, successfully completed his field training, and has been policing Kingsport’s streets solo for about six months. Jamal originally arrived in this area in 2004 after receiving a track scholarship to Milligan College. He graduated from Milligan in 2009 with a Bachelor of Science degree in Business Administration. He is a faithful member of Holy Mountain Baptist Church in Kingsport where he has been extremely active in the children’s ministry. While attending Holy Mountain Baptist Church he met a fellow member who is a veteran Kingsport Police Officer, and the two eventually became good friends. The officer went on to recruit Jamal into a law enforcement career at the Kingsport Police Department.